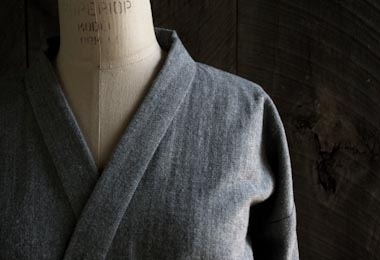 We designed the Purl Soho Women's Robe to be roomy but not bulky, classic but not prim, comfy but not sloppy. 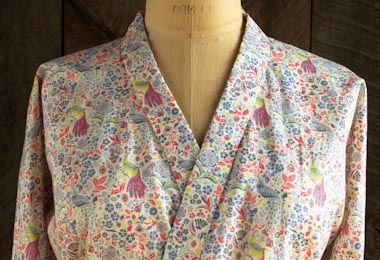 The Purl Soho Women's Robe Pattern walks you through every step of the robe-making process with detailed photographs and tons of helpful tips. 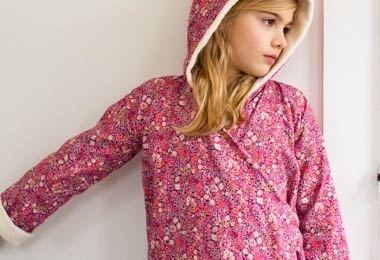 It includes sizes from 0-2 to 14, in both above-the-knee and below-the-knee lengths. Available only as a PDF download, for more information, including a list of materials you'll need to make your Robe, please click Product Details, above. 3 1/4 to 4 1/4 yards of any light or mid-weight cotton, linen or flannel fabric. We love the breezy look and feel of Liberty of London's gorgeous Tana Lawn and the coziness of Robert Kaufman's Shetland Flannel.